Diwali may be the biggest, much anticipated and most important and celebrated festival around India and even the world. It is also known as the festival of lights. 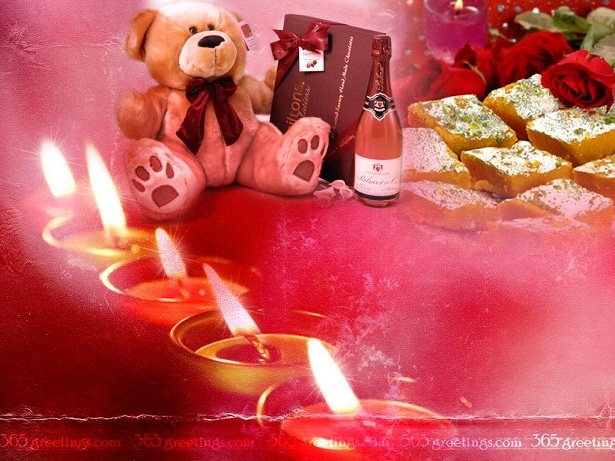 Diwali, just like any other special holidays, include giving out or exchanging of gifts with loved ones and dearest friends. Diwali gift ideas are limitless and you have many to choose from. Diyas and Diwali candles – Diyas are oil lamps made of clay with a wick dipped in ghee or vegetable oil. These lamps are lit during the Diwali holiday together with Diwali candles. Available in a variety of color, this gift idea is perfect for this season and since it is called the festival of lights, is just as appropriate. Food and traditional sweets – the sharing of sweets is just one of the many ways of celebrating the five-day long Diwali. Traditional Hindu sweets such as laddoo and barfis can be bought on your local Indian store or if you have the time, make home-made ones. To make it look presentable, wrap it using metallic gift wraps ideally in red, gold or silver color. The wrapping will give this Diwali present the festive feel that Diwali brings. Puja Thali – if you’re thinking of a gift that is both useful and is for the whole family, try giving them a Puja Thali. These 10.5″ special platters come very handy especially during Diwali. Offerings such as rice, flowers and sweets are being laid out on these trays. You can choose from copper, silver, gold, steel or bass Puja Thalis. Make your present even more special by decorating them. Lakshmi and Ganesha Presents – it is believed that by worshipping the goddess of prosperity, Lakshmi and the elephant-headed god Ganesha, wealth, financial success and prosperity will be blessed upon you. Why not share these blessings to your friends and colleagues by giving out presents inspired by these deities. A wide array of their statues and figurines are easily available for your purchase on selected specialty stores. Idols such as these are a great addition to one’s prayer room or Puja. Diwali-inspired shirts – Looking for gifts for men can sometimes be pain-staking. Most of us just opt for a shirt as it is the easiest to acquire and the most obvious choice. In that case, for Diwali, look for a shirt that will remind you of it. Shirts with printed sacred Hindu symbols such as Aum or Om are just perfect. This is a very practical choice as your recipient may very well use it not just during Diwali but the entire year as well. Just look for one that fits. Goddess Lakshmi-inspired business wallet – this choice is very practical but chic at the same time. Diwali-inspired accessory such as this is a great Diwali gift idea for your girl friends, sister or even your mother. With this wallet, let the goddess herself inspire you with your quest for financial wealth and success.Of course, you should not forget to include your best Diwali messages and greetings for them. Saris – during Diwali, you will observe that lots of women dress up in this Indian wear during the festivities. It is simple yet elegant and will always be a classic. An ideal gift for your stylish friends and loved-ones. It can be worn casually or formally as it is availble in different variety, from the simplest to the most lavish. With the sari’s sophistication, it will be perfect for a night out of town during Diwali season. Silk Sari Wrap Skirt – the ideal alternative of Sari. Like Saris, these skirts are also available in different prints, patterns and colors. It is made out of vintage silk fabrics and each piece in unique. Diwali Books – probably the best gift a child could receive and a personal favorite. Colorful Diwali books are available in many bookstores. Children will surely enjoy this present and at the same time, they are learning about the rich culture of India. Diwali Dolls – Little girls will go crazy for any kinds of dolls. That is why cute Diwali-inspired dolls will be the perfect present. If Diwali dolls are hard to find, why not buy a regular doll and make customized dresses for it. Create the perfect ensemble for your Diwali Dress-up doll. Even put a Bindi on their forehead for that authentic feel. *Various arts and crafts materials such as kits for candle making or even rangoli art stencil and color set will be ideal for this special occasion. These are just some of the many gift ideas for the festival of lights. With a little bit of creativity and imagination, you can surely think of wonderful Diwali gift ideas for everybody to enjoy.